ANG Technologies is a software development and consulting company established with its base in USA. Our software development and consulting solutions include Oracle, SAP, Microsoft and other technologies. Our team is exceptionally experienced and qualified to understand your organizational needs and deliver them in a timely manner. We pride ourselves in treating each client uniquely by following a conscious, structured investigation process to develop a customized solution for your specific needs. You will be amazed when you know how much an organization can save through our services. Founded by a team of young, dynamic and task-oriented IT professionals, ANG Technologies., brings a pragmatic approach with proven, real-world solutions to the challenging fields of technology and IT personnel placement. ANG Technologies has an elite workforce of IT professionals on staff. Our objective has been to recruit only the highest caliber and most knowledgeable IT professionals available. 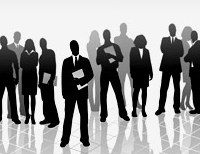 Every employee is carefully selected, interviewed and tested before they can join your team. We have technology professionals from all over the world and more continuously hiring new, highly qualified individuals. ANG Technologies., has built a strong group of IT professionals. Coming from broad range of concentrations, our staff covers all aspects of technology, including Enterprise Resource Planning (ERP), Oracle applications customer relationship management (CRM), Network engineering, Database management and administration, systems engineering, maintenance, and administration, Data warehousing , Web technologies, project management, quality assurance (QA) software testing and Internet and E-commerce solutions.